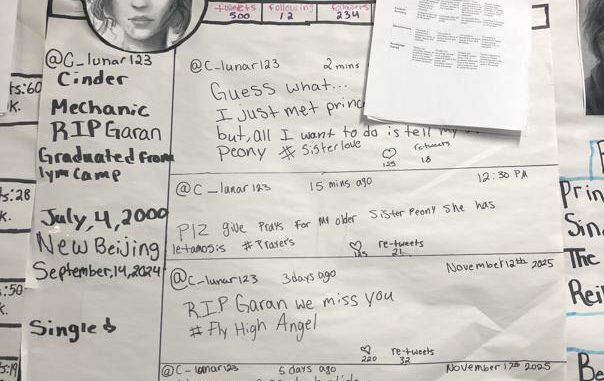 What if the characters in novels came to life and had their own Twitter account? 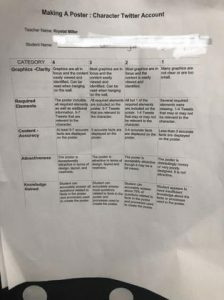 That was the assignment for 7th grade students in their English Language Arts class at Lynn Camp Middle. 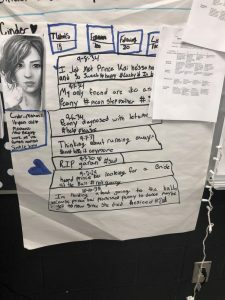 Students could pick from a variety of characters from novels that they have read throughout the year. 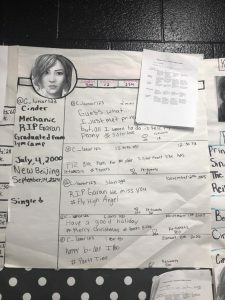 The assignment was to create a poster Twitter feed for the character based on his or her experiences in the book. 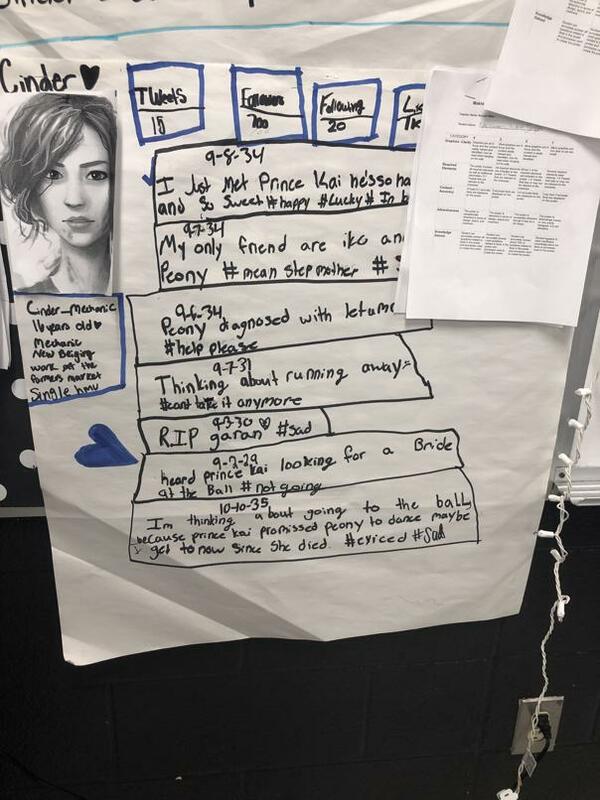 Many students picked characters from “Cinder” which was a novel purchased this year through Knox’s LINK grant. 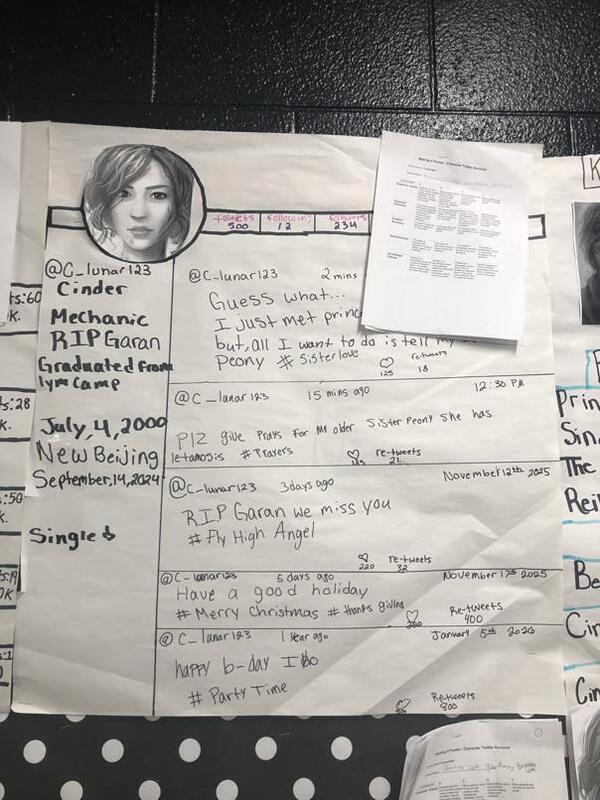 Their posters came to life as tweets and followers filled the timeline. 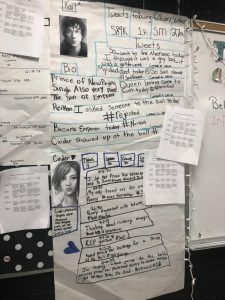 “This was a great opportunity for team work and applying various skills to something students are interested in,” said Jessica Epperson, curriculum coach for the school.